So you have built that excel report your boss wanted. And you were all eager to use the spreadsheet in your presentation. But in the last minute, your boss asked you to change average sales to total sales figures. You also want to grab an espresso before rushing to the meeting. Now what? Excel date time features are very handy and knowing how to use Excel date values can help you save a ton of time in your day to day spreadsheet chores. Let us prepare for your date with the sheet using these 10 handy tips. Before jumping on to the tips, it helps to know how excel represents the date and time. So you see, Date and Time are in fact numbers in Excel. Just enter a date in your excel sheet and format it as number to see its equivalent numeric value. 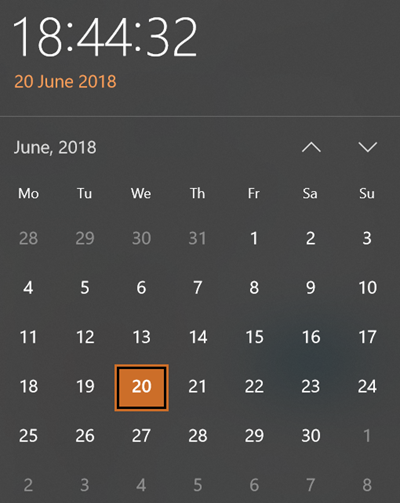 If a date is 20-June-2018 and excel represents it as 43271. Timeline charts are great for providing quick snapshots of historical events. And hardly a day goes by without some one making a cool visualization of a time line of this or that. Time lines are easy to read, present information in a logical manner and mostly fun. So yesterday, I set out to mimic the iconic gadgets of all time in excel, just for fun. 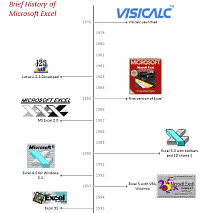 Then it strike me, why not make a visual time line of Microsoft Excel ? So I did that instead. We all know how to make comments on excel documents, just select the cell where you want a comment, press SHIFT+F2 and make the comment. But the comments are only visible when you open the workbook. What if you want to print out an excel file, but include all the comments as well? Turns out you can do that with a hidden option in excel page setup. At PHD household, we believe in using money wisely. Both Mrs. PHD and I come from very modest backgrounds. Our upbringing has taught us value of money in the most effective way – by exposing us to not having any. So when we got our first job (did I tell you that both Jo and I started working in same company and sat in same floor? Oh, it was such a lovely time), we were very prudent and decided not to waste money on anything trivial (we still are, just that over last 6 years our earning capacity increased a bit and we became parents). Anyways, I am not here to bore you about my household. But I am here to tell you fun ways to track expenses and household budgets using spreadsheets. Today I want to introduce Excel 2010 to you. Excel 2010 is the latest version of spreadsheet software from Microsoft, set to be released for sale in late 2010. On Nov 18th, MS released the public beta of Excel 2010 [download here] along with other Office productivity software. 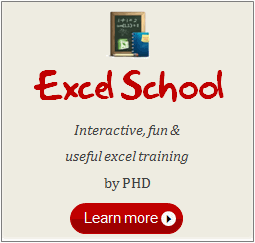 Excel 2010 has several improvements compared to earlier version – Excel 2007. In this post, I want to highlight some of the User Interface improvements made in Excel 2010 that are very exciting and fun to use. We all have atleast one story of how that one time the boss / co-worker / classmate / cat ruined the carefully crafted excel spreadsheet by mucking up the formulas or disturbing the formatting. 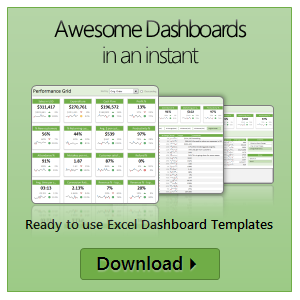 Read this post to learn 10 awesome excel tips to make better and boss-proof excel sheets. Let us say you have built a nice chart showing your sales and profits for the top 5 products (learn how to highlight top 5 products in a list), with products on X axis. Suddenly your boss wants to switch the rows to columns (or transpose the chart) so that she can see metric level grouping instead of product level grouping. No need to freak out and rush to Espresso machine, You can do it very easily with Excel Charting features. In today’s quick tip you will learn how to swap chart rows and columns in excel.